Providing quality vending services wherever people get together. City Coin, a Calgary vending services company, is committed to delivering the best products, technology and services to our customers across Southern Alberta. Our vending service products are as diverse as our clientele – from healthy vending to hot and cold beverage vending – we have what you are looking for. Since 1972, City Coin, a Calgary vending company, has provided food & beverage vending equipment and vending services to customers across Southern Alberta. 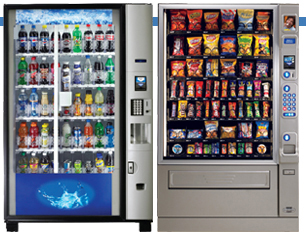 City Coin provides full service vending solutions with a wide range of healthy foods, snacks, hot and cold beverages. City Coin uses the latest in telemetry-based wireless technology to collect information about Calgary's best-selling vending products in every market segment. With this information, we help our customers in Calgary and Southern Alberta create customized vending experiences. It's a testament to our customer service that we provide vending services to over 400 locations in the greater Calgary area, with an average business partnership spanning more than 10 years. As a Calgary vending provider, we offer exceptional product selection and state-of-the-art vending machines – we also offer Calgary vending advice and support to ensure your vending experience is seamless. Once your vending equipment is in place, you can count on the City Coin Vending call center for 24-hour service and support. 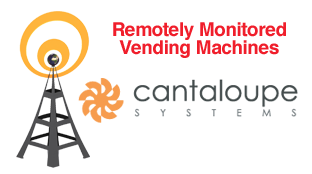 City Coin is a long-standing member of our industry's national trade organization, the Canadian Automatic Merchandising Association. With our pledge to maintain the highest standards of vending professionalism and integrity as set out by this association, you can be assured that City Coin is committed to provided you with a vibrant and progressive vending program.